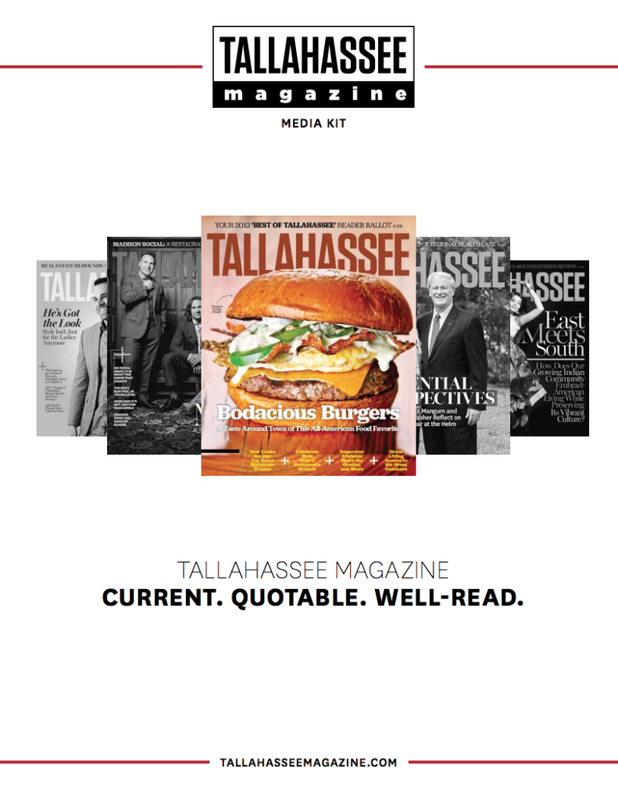 Since 1979, the award-winning Tallahassee Magazine has been capturing the essence of Florida’s vibrant capital to share with readers. 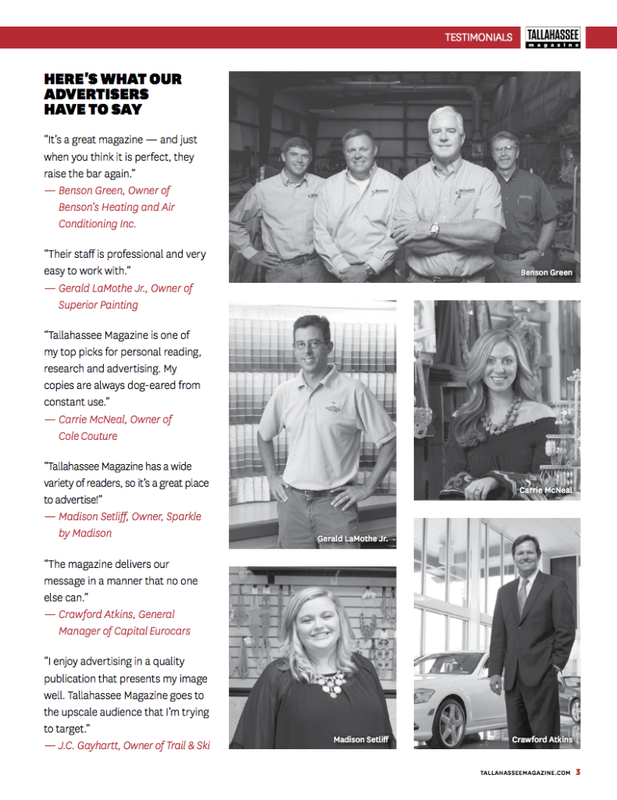 Features, quick-read and department stories are provocative, in tune with the area and its people and are chock-full of useful information highlighting life, style, culture and food. Whether the story is about a local controversy, arts and culture, travel, an interesting personality or local lore, it will be on point and well written. 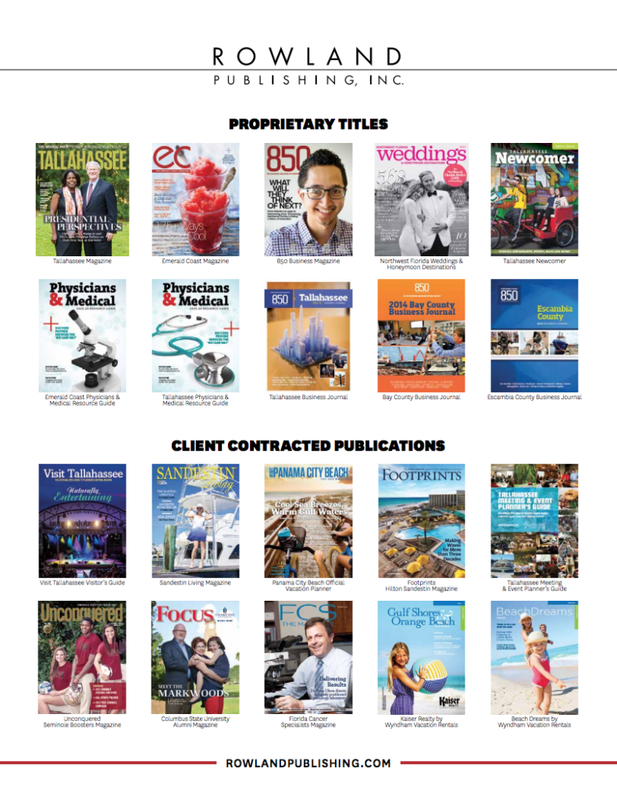 Complementing our regular story offerings are our popular Social Studies photos, the Buzz and a comprehensive calendar of events. 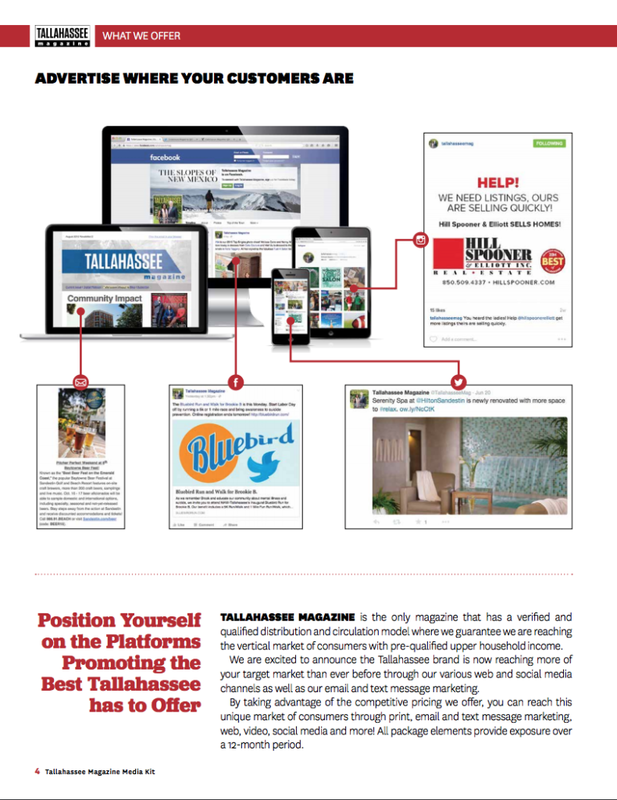 Tallahassee Magazine is direct-mailed to selected upper income ($100,000+) homes, professional offices, government officials, civic leaders, local businesses and frequently visited reception and waiting areas. 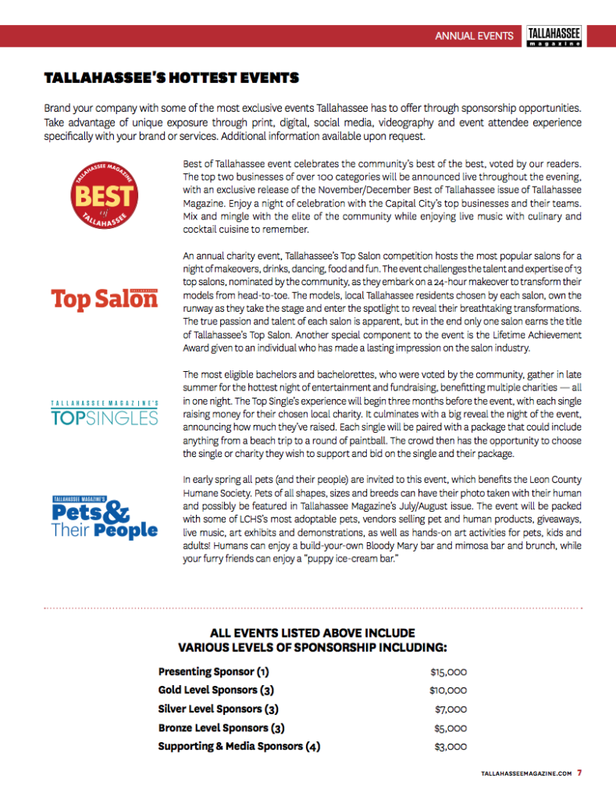 The magazine is sold on newsstands, including Barnes & Noble, Books-A-Million, Costco and Walgreens, and reaches thousands of tourists and visitors through our extended distribution model. 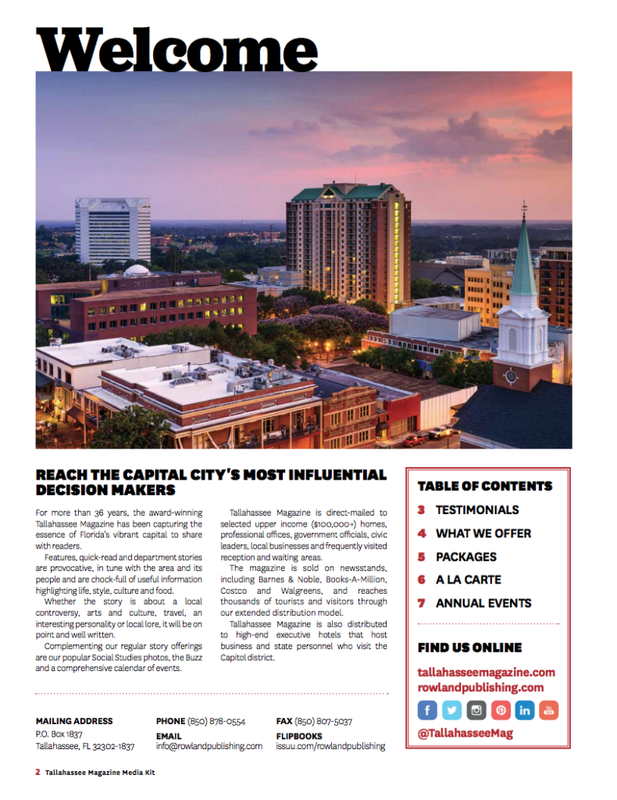 Tallahassee Magazine is also distributed to high-end executive hotels that host business and state personnel who visit the Capitol district. 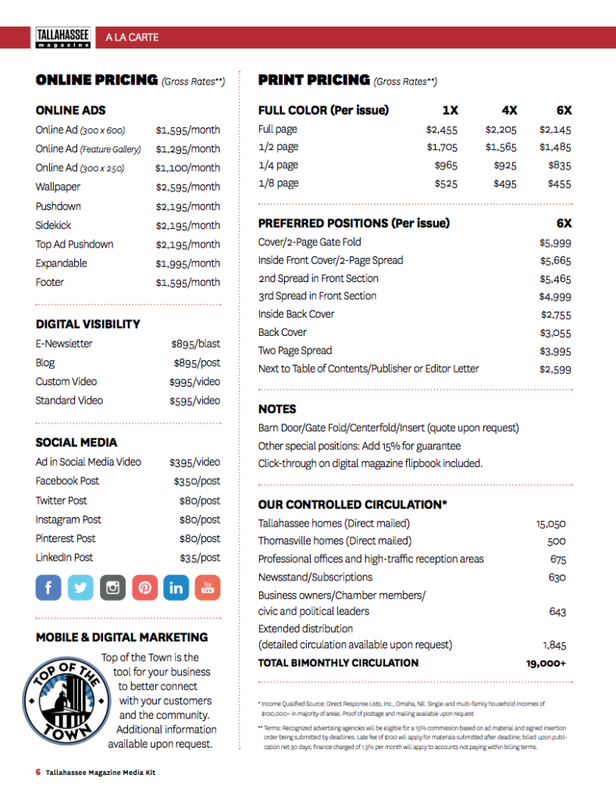 For additional inquiries, feel free to contact us.